Have you ever looked at your fingers? Have you ever noticed how they're always glowing? It's totally trippy, dude! Like, try waving your hands around in your face right now. See all of the wondrous colors flashing before your very eyes! 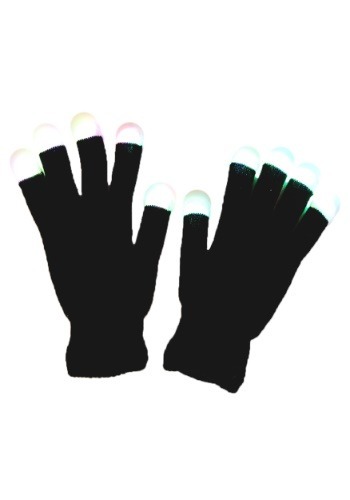 Turn your totally ordinary fingers into a vibrant rave party with these glowing gloves! 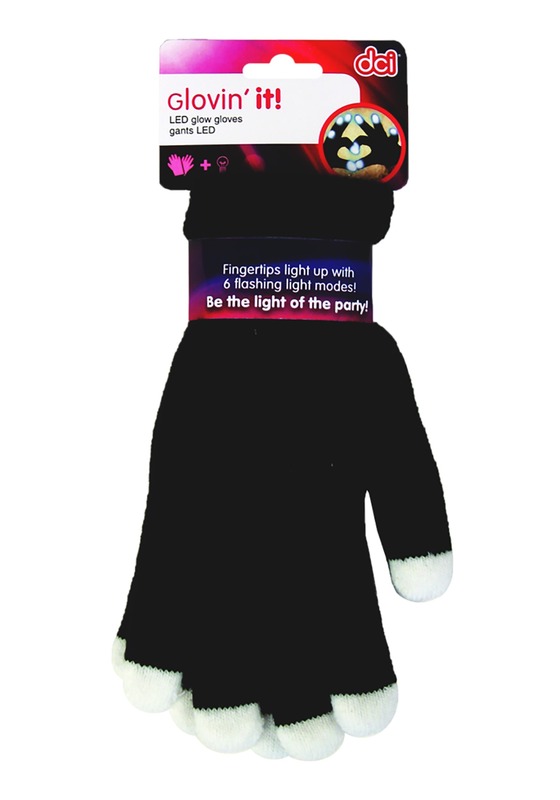 They're a simple pair of black gloves that have white fingertips and a hidden LED inside each one. Simply turn them on and marvel at the colors. You can choose various modes, including red, green, blue, a multi-color flash, and a color change mode. Let's not beat around the bush here! These Glovin' It Gloves are awesome at dancy parties, music festivals, or any place where you can turn these puppies on in a dark place. Just slip them on and introduce a new level of color to your wild dance moves!